Third release in the American Landmarks Series! Rounds arrive in sealed poly bags or mint tubes for multiples of 10. Bears the image of the Pearl Harbor Memorial. The surprise attack at Pearl Harbor on December 7, 1941 pulled the United States off the sidelines of World War II and into the midst of the fray. The attack itself cost the United States several naval vessels and countless aircraft, as well as the lives of thousands sailors, marines, and airmen. Following the attack, the United States entered the war in both the Pacific and Atlantic theaters, becoming the only nation in the conflict to successfully conduct a tow-front war. In 1963, a memorial above the sunken USS Arizona was constructed and opened to the public as a permanent reminder of America’s loss that day and its perseverance in the coming months. 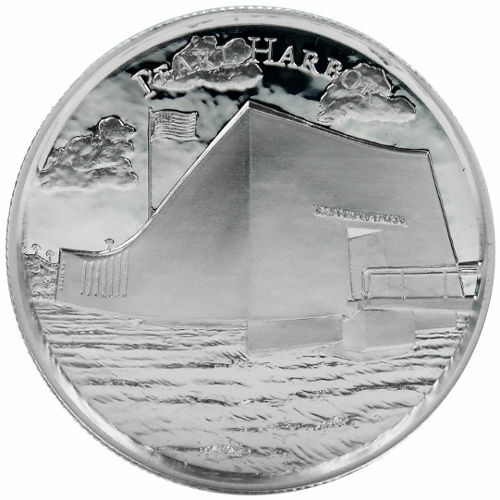 On the obverse side of the 2 oz Elemetal Silver Pearl Harbor Ultra High Relief is the image of the Pearl Harbor Memorial in Honolulu. The iconic white building resting above the waves in the harbor is featured, along with an American flag that flies defiantly above as a symbol of America’s endurance. 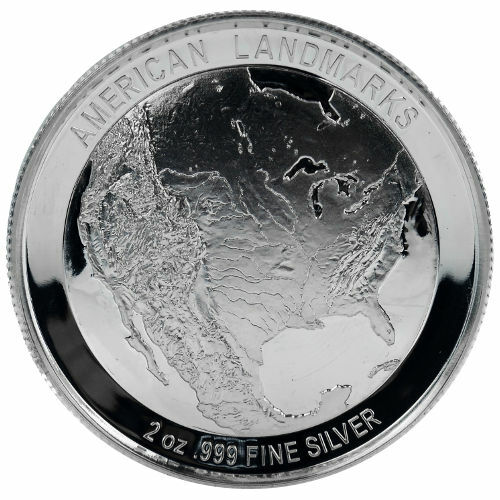 The reverse side features the common design theme used on all American Landmark Series rounds from Elemetal Mint. A geographic outline of the North American continent is featured, along with engravings of the series name, and the round’s weight, purity, and metal content. Each of these silver rounds from Elemetal Mint is struck with an ultra-high relief finish. The blanks used in production are struck under intense pressure with multiple strikings to create a 3D contrast between the design sets and the background field. Please contact Silver.com at 888-989-7223 with any questions, or contact us online using our live chat and email features. 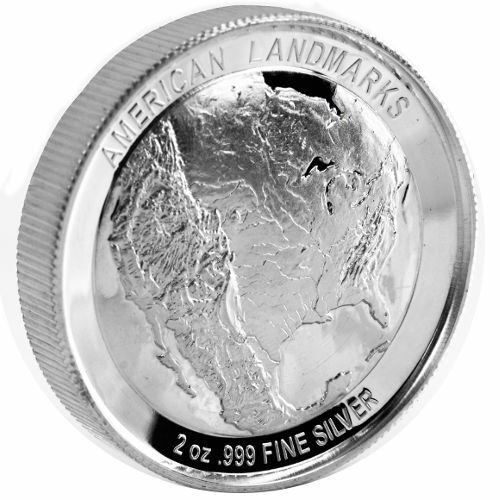 If you are interested in similar products, check out our selection of Silver Rounds.